When it comes to malling, there are not enough hours in a day. They encourage us to get out more. It's nice to know that we have malls like Greenbelt, Fairview Terraces, or Alabang Town Center that have stylish Instagram-worthy outdoor areas where you can just relax and enjoy the view. Can’t decide where to eat? When you and your friends are craving different cuisines, you know where to go: Food Choices! They help us be more productive. In the absence of an office cubicle or a classroom, you and your groupmates can easily go to the mall and find a quaint spot where you can finish reports and presentations. They pamper us after a hard day's night. After a long and stressful day at work, nothing beats treating yourself to a nice massage and a hot cup of tea. Make it a point to relax and unwind before you head home by going to the spa. They make shopping easy and comfortable. Ah, the wonders of shopping. Nothing beats pampering yourself and your loved ones on a payday weekend! They understand the importance of alone time. There will be days when you just want to read a book, have a tea latte, or see a movie...by yourself. Where else can you do all three in one day? They encourage us to spend more time with our pets. The open spaces in malls allow mall-goers to bring their furry friends along. The best part? It gives them a chance to mingle with other dog-lovers! They encourage us to hone our craft. There are so many fun activities to do at the mall. You can participate in free events such as art classes and dance workshops. They help us create memories. Going to the mall means more than just eating scrumptious food and buying trendy clothes. It’s also about spending time with your loved ones in a comfy and accessible location that you can call “home." Ayala Malls want to offer you the best overall sensory experience. Each Ayala mall has become a lifestyle and cultural center that celebrates Filipino architecture, artistry, and design specifically catered to pamper your needs. It is indeed more than a place to shop—it is where Filipinos can escape, relax, and unwind amidst the hustle and bustle of the city. 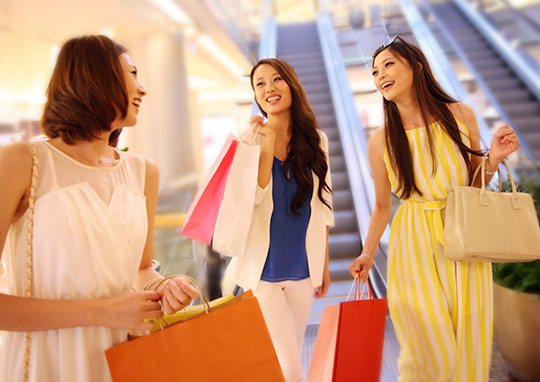 So what do you love most about Ayala Malls that you can't get enough of? Post your answer on Facebook, Twitter, and Instagram using the hashtag #lovemall.